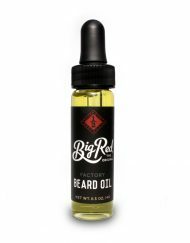 View cart “Big Red Beard Oil 1 oz. – Noble” has been added to your cart. Enjoy our new bigger 2.5oz tin at the same price as our previous 2oz size. 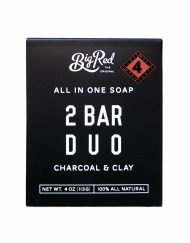 Great stuff, just got it in today, love the smell, ferm hold! F#$king awesome!! 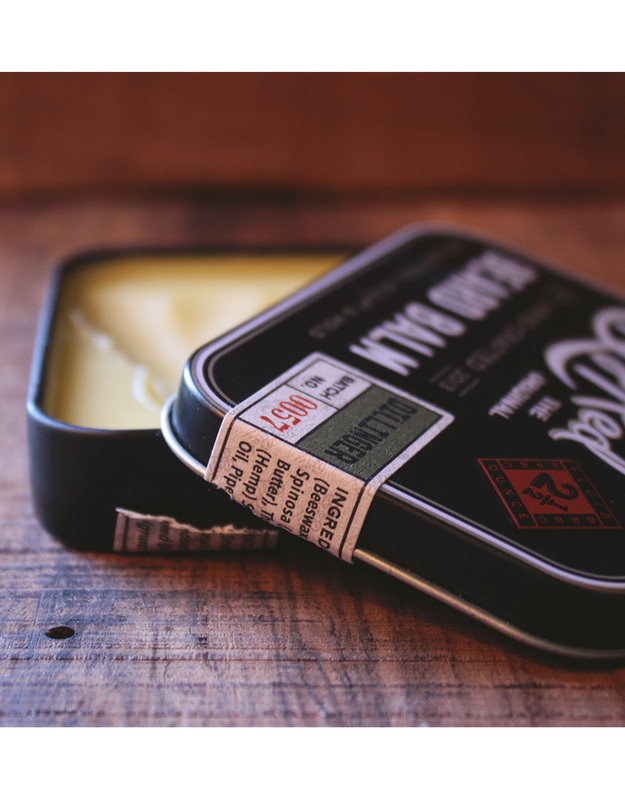 Just got my tin in and I’m loving it, It smells amazing and I cant believe how long the scent lasts. 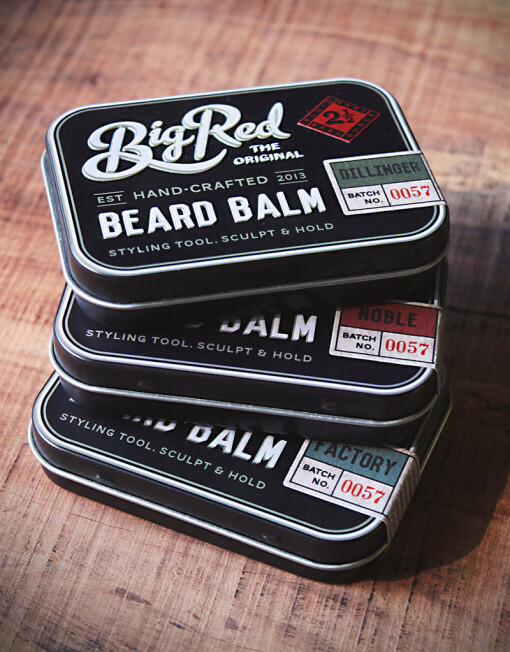 The balm seemed soft and very easy to scrap onto my thumb nail. 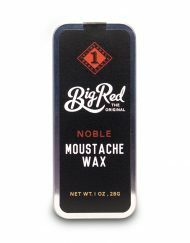 Keeps my face fur well conditioned, smells great and I would say it’s medium hold but I do run a lot of wax in my ‘stache. 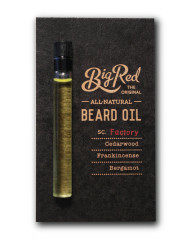 I have a pretty unruly beard with thick hair. This does a pretty good job of taming it without being all waxy. Doesn’t feel heavy. 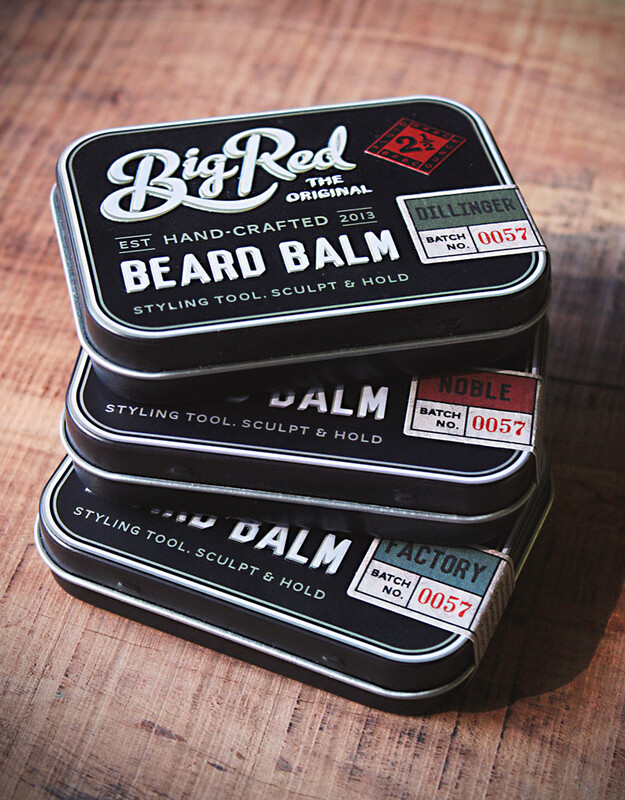 Great balm. I’ve tried a few different balms; I find this one lasts the longest too. It doesn’t irritate my skin either or leak down the neck. Awesome product, delivers a great smell throughout the day. Even after washing my face the product is not completely washed off! 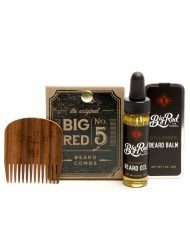 I would Definitely recommend Big Red Balms! This is one of the best balms that I have tried. 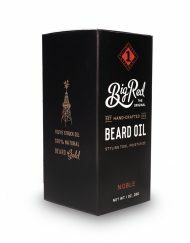 It smellls wickedly good, great hold without being too much. And I get tons of compliments. Keep it up. 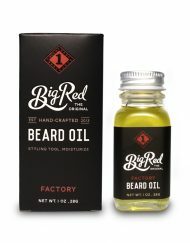 Smell is amazing and has decent hold to it. 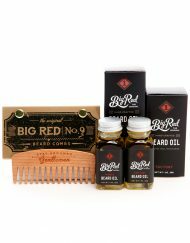 Ever since placing my first order with Big Red Beard Combs, I have not regretted it. I absolutely love the No. 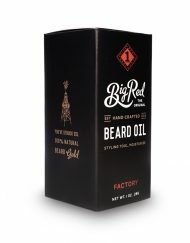 09 Comb, and the Dillinger and Factory Oil I use is fantastic! Always happy to support this Canadian Company that keeps me connected to my home in B.C., even way out here in Ontario! 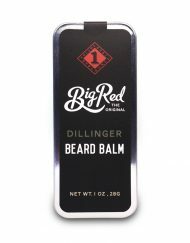 The Big Red Dillinger beard balm is the best beard balm I have ever used. I have a curly and long beard that is very prone to tangles. 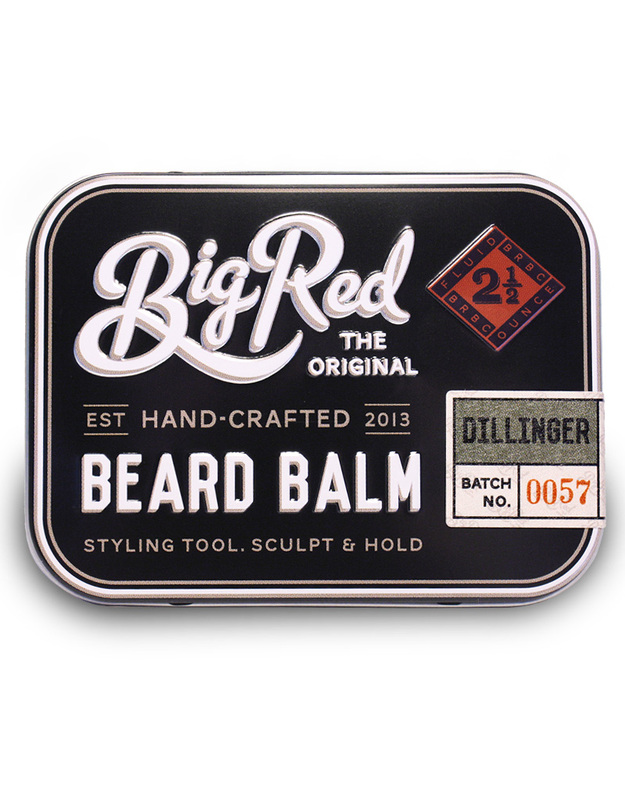 The Big Red Dillinger beard balm keeps my beard under control and still soft to the touch all day long. 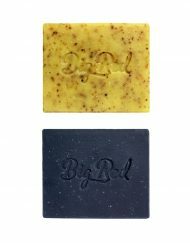 In addition the great smelling Dillinger scent lasts until the next shower. 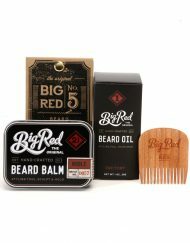 Very good beard balm, thank you Big Red! 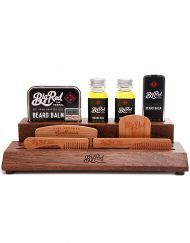 a more mature smelling product, great hold and works so well with the beard comb. perfect for a winter scent. 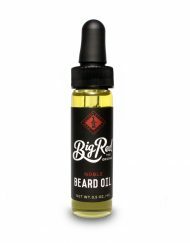 The smell of this Balm is amazing great..my beard is absolutely perfect with this stuff..thank also for your good service..
Great scent, great hold, great product. 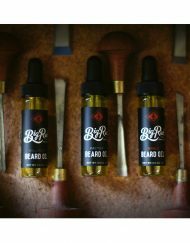 Naturally moisturises while helping tame the wildest beards.